The ClearMax fifteen foot extension power cable is the ideal solution for adding some length to your current electronic device cord. Plug those big bulky power adapters into the extender cable, instead of power strip outlets, giving you more space to get the full use of your strip! 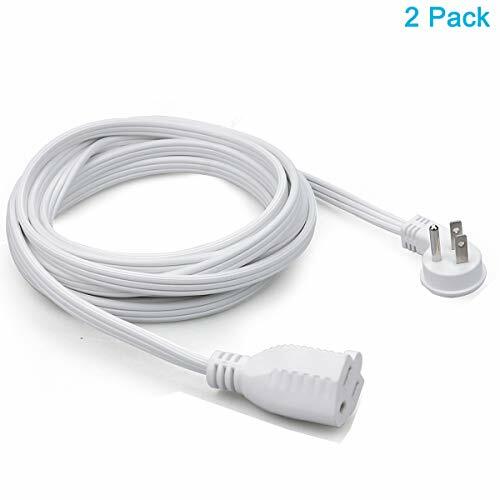 2 Pack | Ideal solution for adding some length to your current electronic device cords. It extends the outlet on the power strip to avoid being cluttered by bulky power adapters. Built with molded water resistant blades. Works great with computers, monitors, scanners, printers, power transformers and any other devices that uses the 3-pin male-to-female shroud power connector.